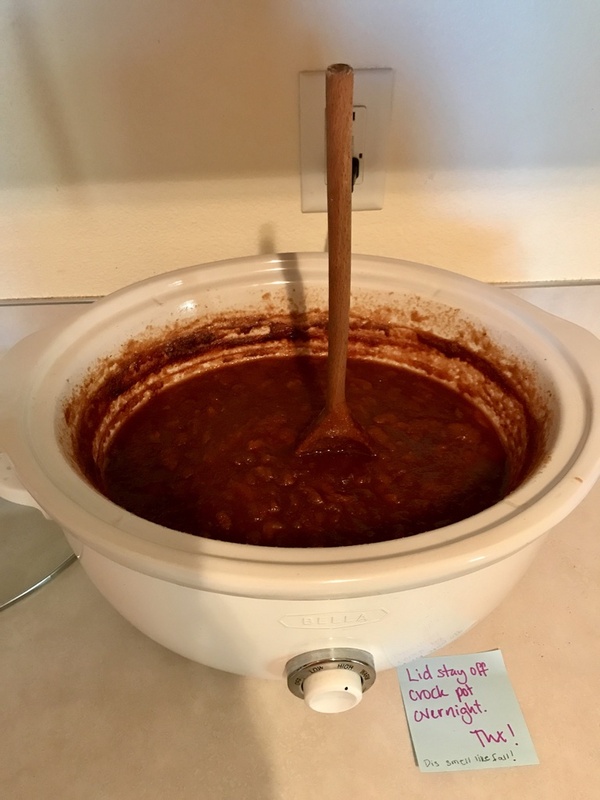 Combine ingredients in a 4 quart slow cooker and start cooking without the lid on high heat in the afternoon. Before you go to bed, reduce heat to low, leave the lid off, and simmer overnight. It will darken and become very thick as it cooks. If you happen to wake up at night, give it a stir. In the morning, stir and taste the butter and check for consistency. Butter should be thick and glossy; a wooden spoon will stand upright in the cooker. You can also water bath can Overnight Plum Butter. Pour hot sauce into hot half pint jars, leaving 1/4-inch headspace. Remove air bubbles with a headspace tool or plastic knife. Wipe rims of jars with a clean, damp paper towel. Apply lids and rings and tighten according to manufacturer’s directions. Process 5 minutes in a boiling water canner. Adjust processing time for your specific altitude and read up on the basics of canning in a recent edition of the Ball Blue Book or contact your local Extension Service for classes and publications.